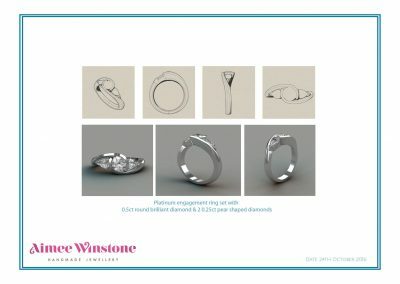 This handcrafted platinum diamond trilogy engagement ring design came about by a love of a previous commission I had made. 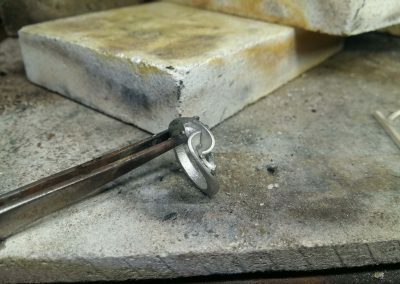 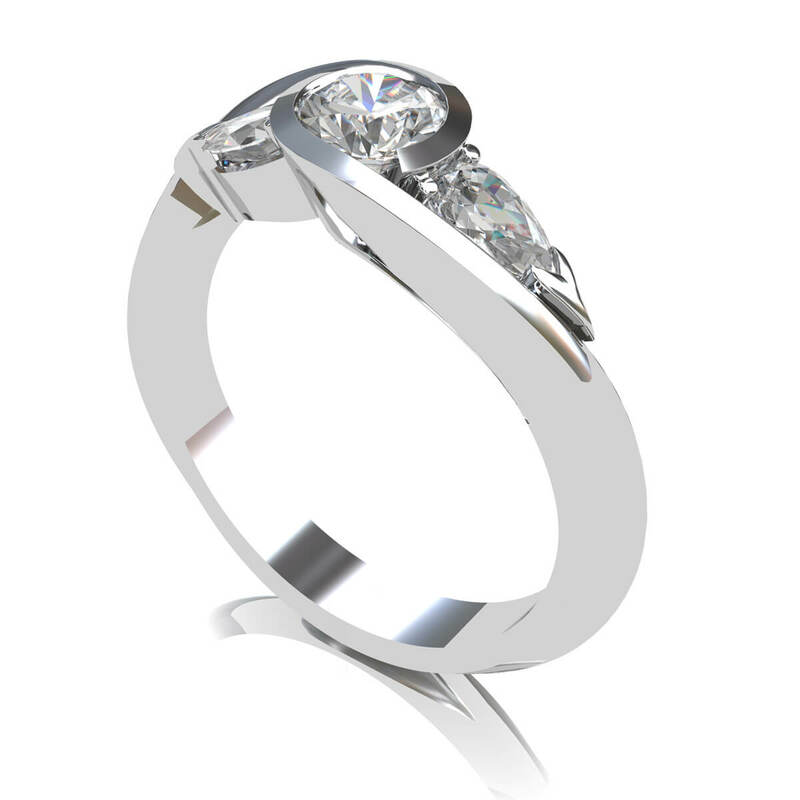 As a suprise ring design my client wanted to design a timeless ring which he knew his partner would love. 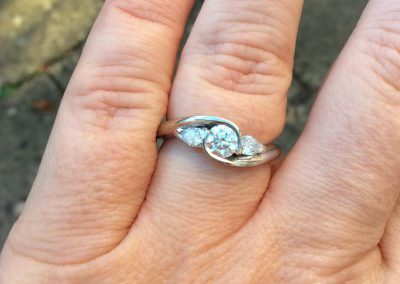 A round brilliant central diamond with two pear shaped diamonds were decided on and a viewing was arranged to choose the diamonds in person. 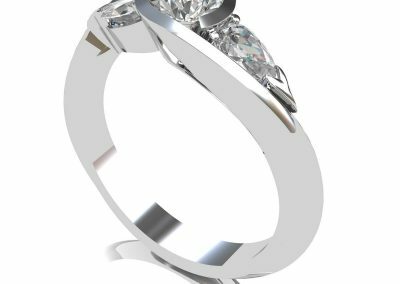 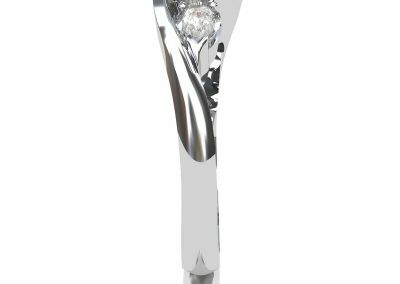 The final design incorperated platinum for its strength, a certified GIA Fvs1 central diamond and Gvs pear diamonds totalling 0.29cts. 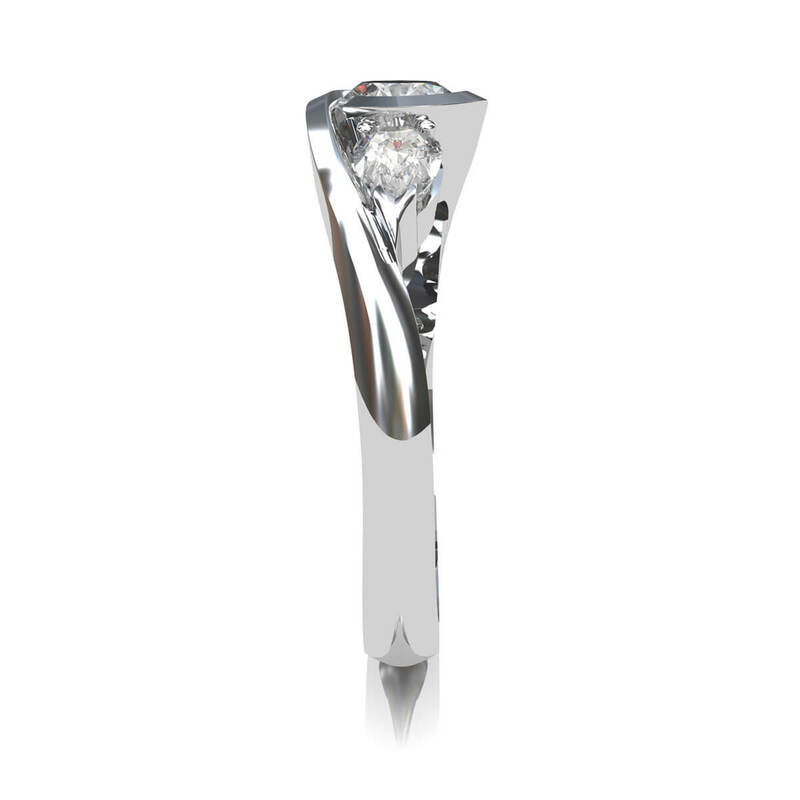 See which diamonds to choose for more info. 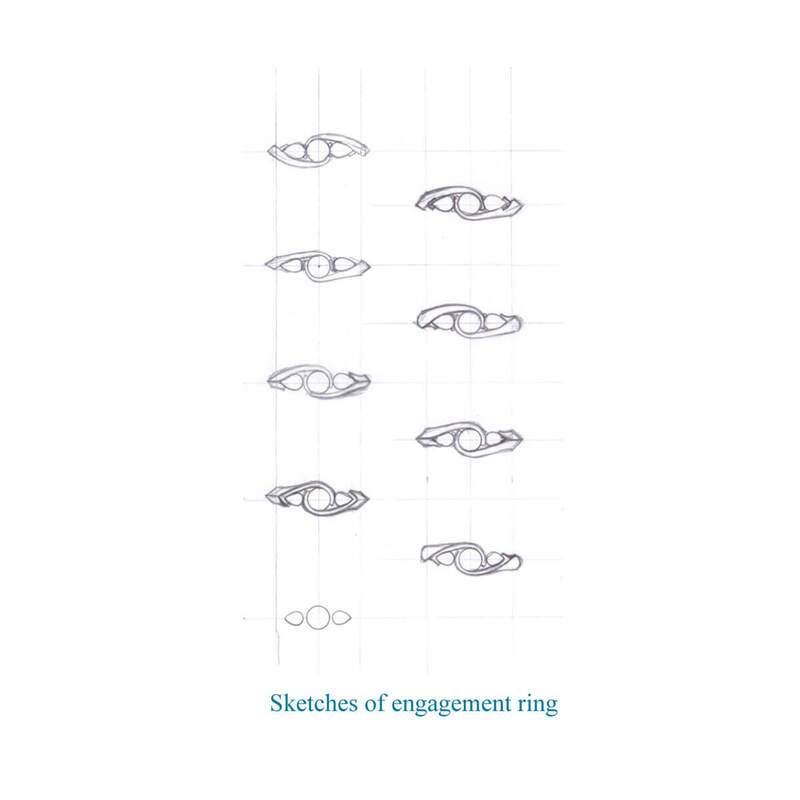 Once some initial pencil sketches were made the ring was then designed using CAD/CAM Rhino Gold. 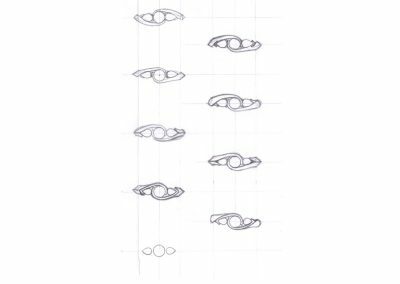 The designs were presented to the client in every angle to appreciate exactly what the ring would look like before it was finished. 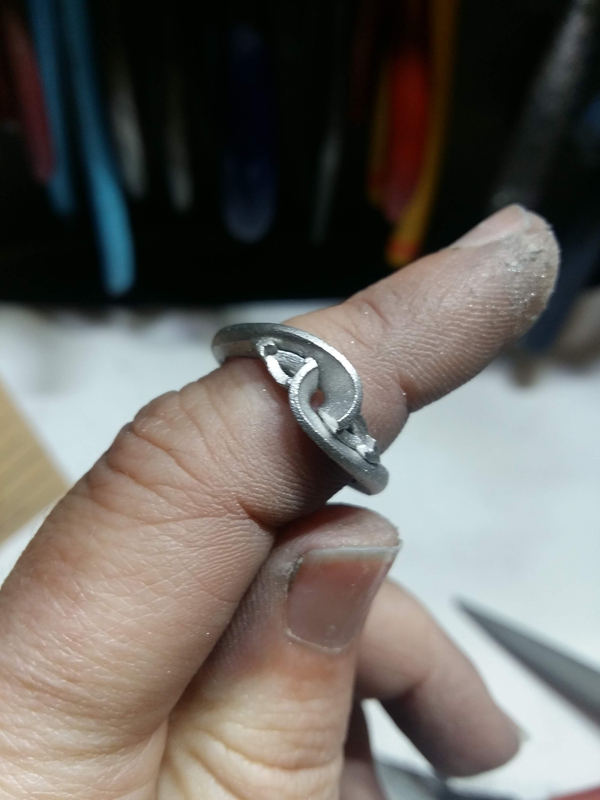 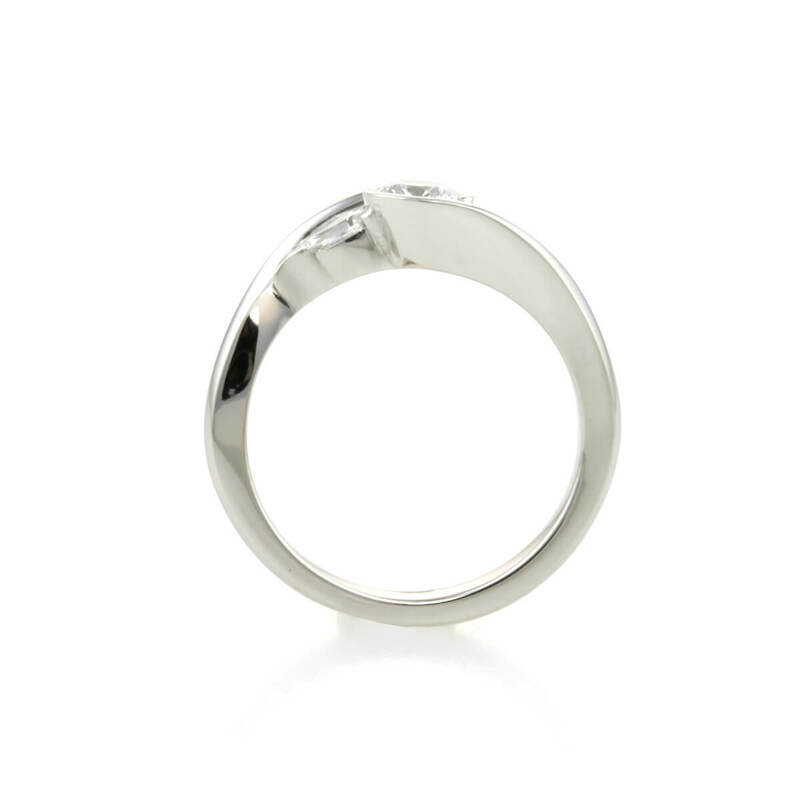 From the design file, a platinum casting was made which left a rough dull texture. 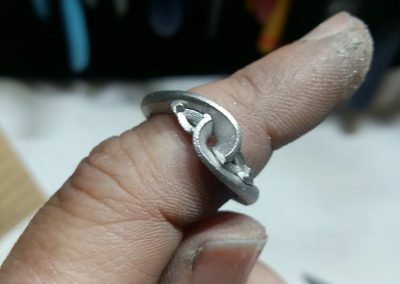 this does not look like the white and shiny metal you see when a ring is presented to you. 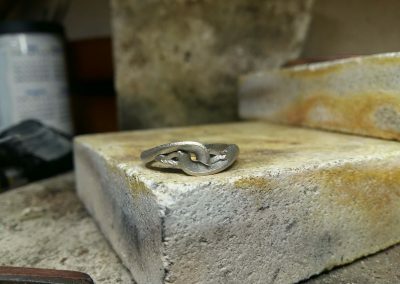 A slow process of finishing by hand using various grades of emery paper and polish reveals the shiny white metal. 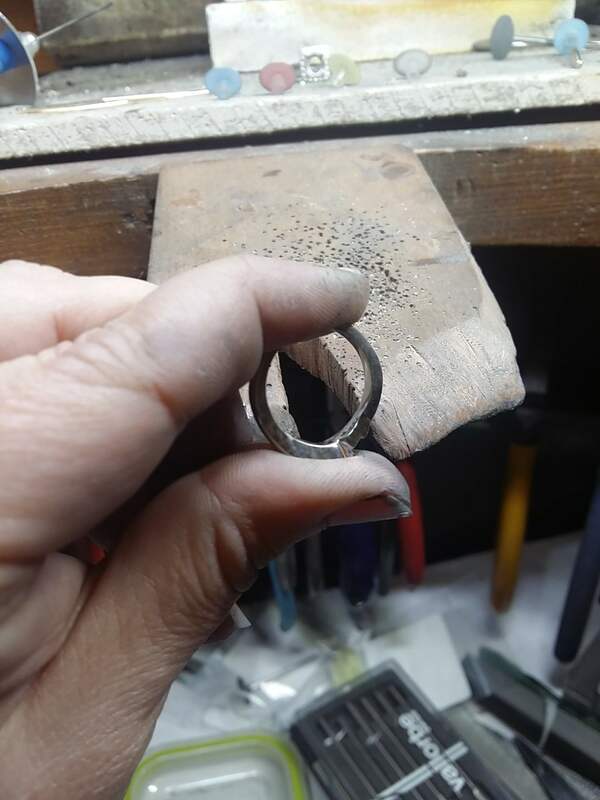 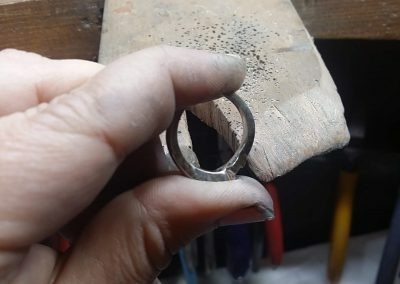 As platinum is a much harder precious metal it takes much more work to get it to a polished finish compared to silver or gold. It is at this stage that the handcrafted platinum engagement ring can be sent to the Assay Office to be tested and stamped with a hallmark. 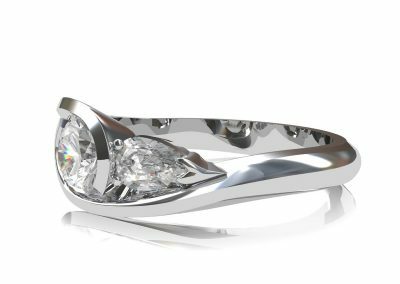 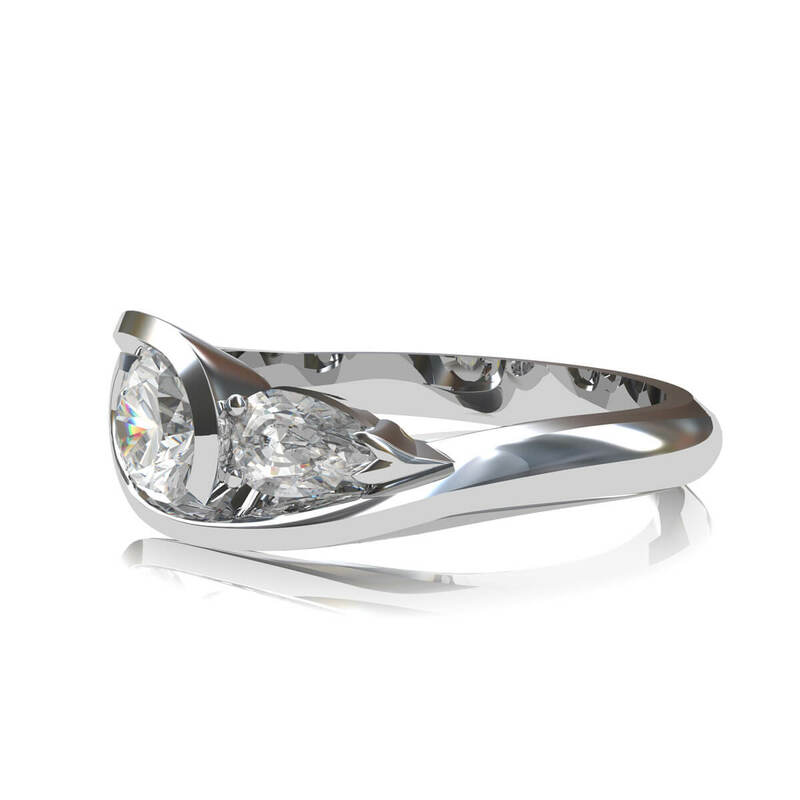 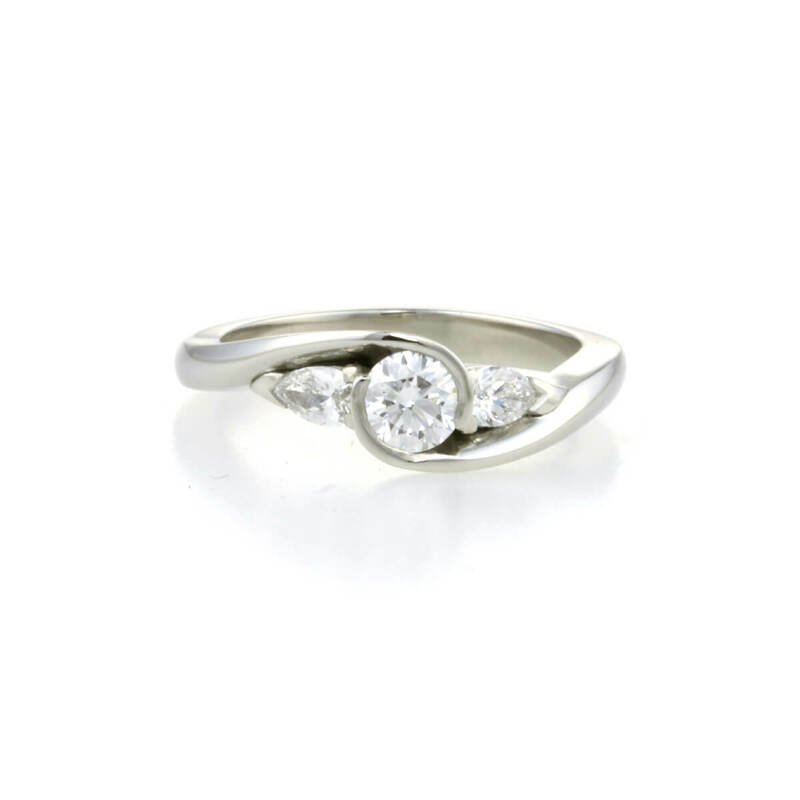 With another pre-polish, the ring was then set by hand with the diamonds, with soft sweeping diamond settings this handcrafted platinum diamond trilogy engagement ring will not catch like claw set rings can do and will be very comfortable to wear. 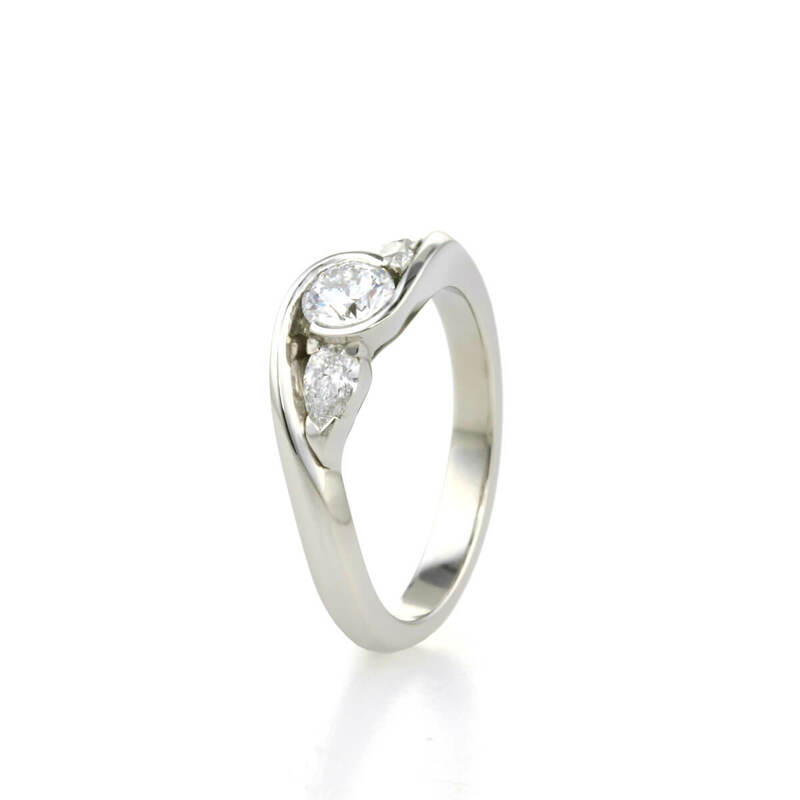 All polished and set with diamonds. 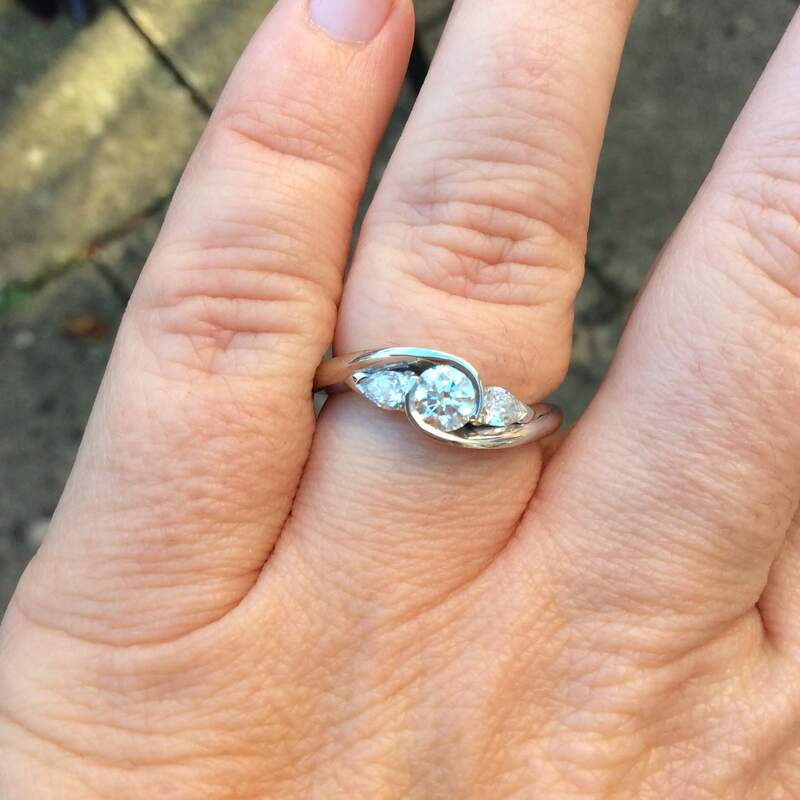 So sparkly!